On Thursday 23rd February, Frank Key held its popular annual Customer Race Night at the Springwater Cantonese Restaurant. Together we raised a staggering £4,225! 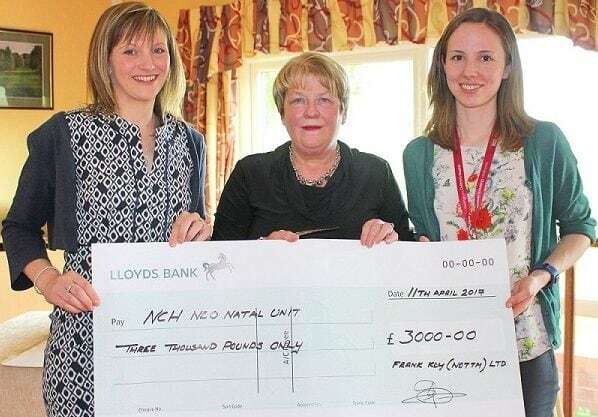 Pictured above is Victoria Meeks, the daughter of the Chairman, presenting a cheque to the Neo-Natal Unit at Nottingham City Hospital for £3,000. Elissa Bradford, Team GB BMX star received £1,225. Thank you to all that attended and helped make it a memorable night.